For the second consecutive year, China became the most attractive investment destination in the world, according to the latest BDO Ambition Survey released on Monday. 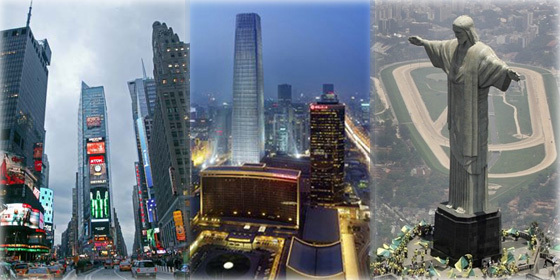 The BDO 2012 global market opportunity index for China this year reached 251, followed by the United States with an index of 212, and Brazil with 198. The index is created based on chief financial officers' stated intentions of global expansion from data collected in 1,050 interviews across 14 countries and regions. Questions include where established international businesses see the greatest opportunities for further expansion, what the opportunities and challenges are for investment in these markets and which countries are the riskiest investments. And the results, in contrast to the optimism expressed in 2011, show that CFOs are markedly more cautious this year. CFOs told us that they are facing greater risk for the same reward. The most important factors determining companies' expansion abroad include market size and growth, local infrastructure and people, ease of entry, customer potential and the labor rate, the survey found. And the seven most attractive markets for investment made up nearly half of the world's GDP in 2011. Check out how CFOs from globally aspiring companies view their growth prospects overseas.